Abd Al-Rahman Al-Sumait, who helped thousands of Africans understand and embrace Islam, constructed 5,700 mosques and four universities in Africa, passed away on Thursday. He was 66. He was awarded the King Faisal International Prize in 1996 in recognition of his Islamic and humanitarian services. Announcing Al-Sumait’s demise, his son Suhaib said his father would be buried in Selaikhat cemetery at 8.30 a.m. on Friday.Condolence messages poured in from all over the world through the social media and news websites, expressing shock and sorrow over his death. “Al-Sumait’s death is a big loss for the Arab and Islamic Ummah,” said Mohammed Badahdah,assistant secretary-general of the World Assembly of Muslim Youth. “We can find only a few individuals like Al-Sumait among the 1.5 billion Muslims around the world,” Badahdah said, and urged Muslims to spend more of their time, money and energy in humanitarian activities. He said Muslims in the past had made a lot of efforts to spread of the message among people in the East and West, overcoming a lot of difficulties. Badahdah described Al-Sumait as an encyclopedia on Africa as the late scholar had conducted detailed studies on the continent’s political, social and economic matters and published several books. 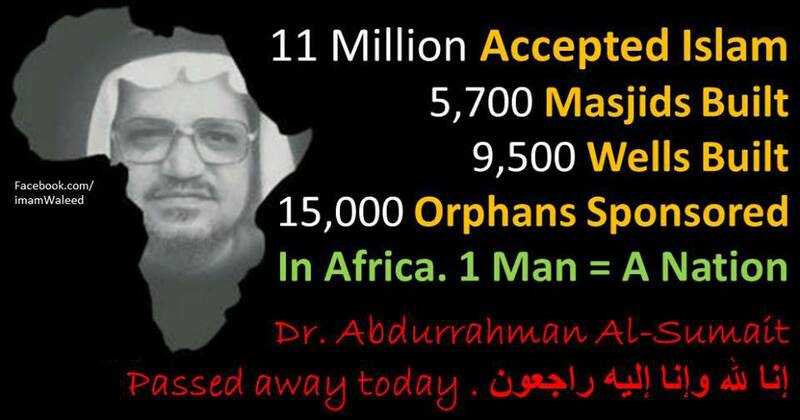 “Arab media has ignored this great man and did not give much publicity for his humanitarian activities in Africa. He is a model of a good Muslim who applied Islam to spread goodness, love and harmony in the world,” said Mahmoud, an Egyptian commentator. “It is quite unfortunate that people like Al-Sumait is not well-known in society. He was a great personality. As a result of his activities millions of Africans embraced Islam. He had sponsored 15,000 orphans and constructed 9,500 artesian wells in Africa. His history should be written in golden letters,” said another close associate of Al-Sumait. 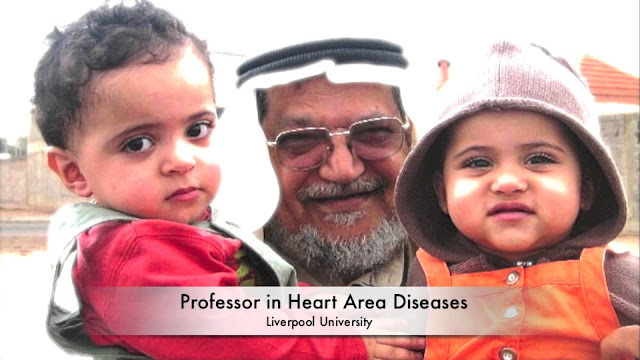 Born in Kuwait in 1947, Al-Sumait studied medicine in Baghdad University, obtained a diploma in tropical medicine from Liverpool University, and specialized in internal medicine and gastroenterology in Montreal General Hospital in Canada. He conducted research on hepatic malignancies in King’s College, London. He worked briefly as a consultant gastroenterologist at Sabah Hospital in Kuwait before dedicating his full-time to humanitarian activities. As a young student, Al-Sumait witnessed a scene outside his school that sparked his interest in helping the less fortunate, and this changed his life forever. He observed poor workers waiting for their means of transportation in the heat on a daily basis. He purchased a car with the support of some friends and drove these workers for free. May Allah bless him and elevate his ranks to al Firdaus. Aameen.